Wood burning is better in environmental terms as the amount of carbon dioxide released into the atmosphere is the same as that absorbed by the tree during growth. It is also a renewable resource, particularly when derived from plantations and cultivated woodland. When using your wood burning stove, for optimum results, we recommend logs should be seasoned for 2 years or more to achieve a moisture content below 20%. 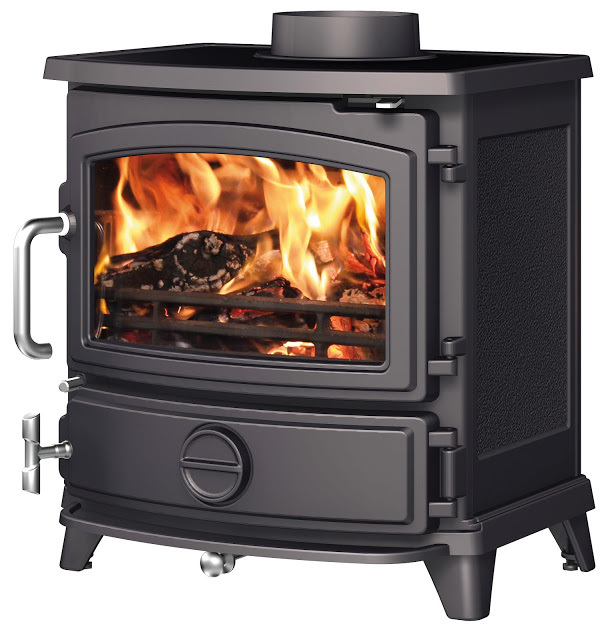 This will not only give up to twice the output of freshly felled timber but help avoid a build up of tar in your stove's flue. his is a photograph (right) through the glass of an advanced technology woodburning stove, one that is CE certified and HETAS accredited. Note that the flames are big, lush and semi-transparent, very different from the dark, opaque, ragged flames you would see in an open fireplace. Not only do these modern woodburning stoves burn much cleaner and more efficiently than older conventional stoves, but the view of the fire is just spectacular.